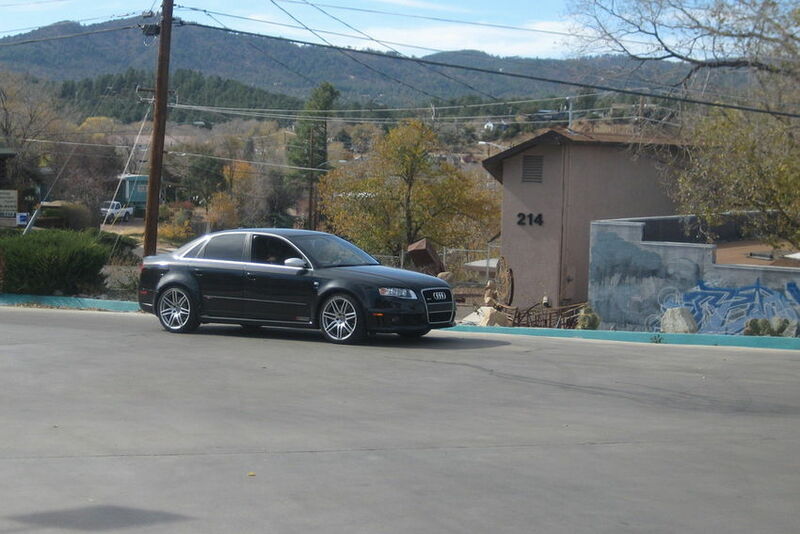 Up for sale is my 2007 RS4. I purchased this vehicle in April of 2009 with 11,000 miles. It now has approximately 25,000 miles. I love this car deeply but I must free up the sizable payment per month to make way for my first child. 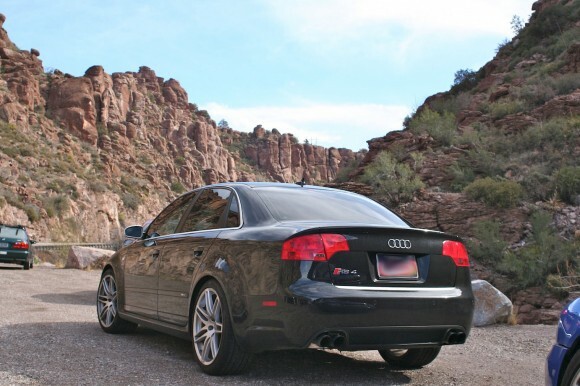 The car is mostly stock aside from Magnaflow quad-tip cat-back exhaust, JHM short shifter and custom tune, all work was done by GoodSpeed Performance in Scottsdale. If desired, the car can be returned to stock. It has only been tracked once (and these cars are an absolute blast on the track!). The car has navigation, rear sunshades and carbon fiber interior trim by oCarbon. Balance of factory warranty is in effect until 50,000 miles or about another year. Intake valves were recently cleaned of carbon at 23,200 miles. Runs like a dream. Tires were recently replaced at 22,000 miles with OEM Pirelli P-Zeros, they still have markers on the inside of the tread! The only minor defects with the car is there is a very small scratch on the rear bumper and some indentations on the same plastic bumper cover. The carbon fiber engine covers have tinted fairly green, a common problem. I’m told Audi will replace these under warranty but I haven’t yet tried. Overall, the car is in great shape and drives fantastically. This is a private sale which in Arizona means no sales tax for you! !